Years ago, I got hooked on A Game of Thrones. I was surprised to see HBO take the ambitious step of turning A Game of Thrones into a series – and doing a pretty good job of it too. Sure, some of my favorite background characters didn’t make the cut; a few situations changed too. But overall, HBO did a nice job preserving the essence of A Game of Thrones. My first glimpse of The Wall, which the Night’s Watch guards to protect the realm from all sorts of encroaching bad stuff, added some fun for me. I realized that I’d been to there in-person. That revelation made me think of movie and TV filming locations I’ve visited in my travels. These were the first three that came to mind. Climb Mt. Ngauruhoe – it’ll be one of the coolest things you ever do. I’m not a big Lord of the Rings fan. But the scenery is pretty epic. You can see Middle Earth filming locations throughout New Zealand – all the locations are there, and I’ve been to many of them. But nothing is cooler than saying you’ve climbed Mount Doom – in real life, it’s called Mt Ngauruhoe. To get there, you have to hike through the Rangipo Desert, which is also Mordor (but just known as the Tongariro Alpine Crossing in the real world). I still keep meaning to go back and watch the corresponding movie in the Lord of the Rings trilogy. Follow in the footsteps of the man in the hat. If you like Hercules:The Legendary Journeys or Xena: Warrior Princess, you can scope out many of their locations in New Zealand, too. Unfortunately, you’re not likely to run into Bruce Campbell. 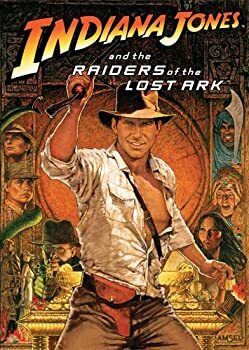 Raiders of the Lost Ark gets off to a rolling start, with Indiana Jones out-sprinting a giant stone marble that wants to squash him flat. He hightails into an amphibious plane and flies to safety. You can kayak up that river with a visit to Kauai. It’s called the Hule’ia River, and it’s a major point for tourism in Kaua’i. I’m a big fan of Kauai since it’s more laid-back than anywhere else I visited in Hawaii. It’s mind-bogglingly green and verdant, and the Kauai topography doesn’t stay flat very long. Add the Raiders of the Lost Ark factor, and it’s obvious why so many film crews choose to work in Kauai.